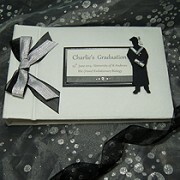 A unique luxury graduation card to make the perfect keepsake. 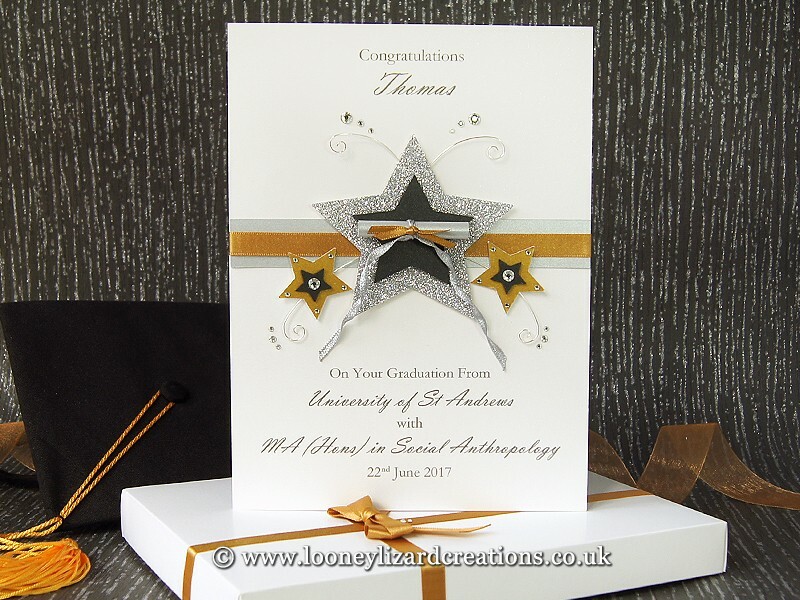 This luxury handmade graduation card features a series of decorated stars in both pearl and glitter finishes with wire and crystal detail for a celebratory feel. 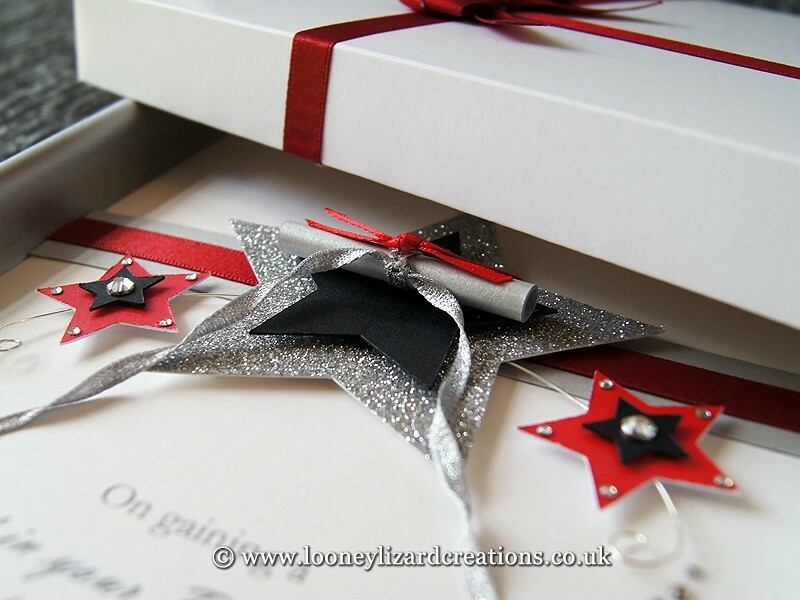 Your card will also include a rolled silver diploma hand embellished with coloured ribbon, and twirled ribbon detail. Made with twenty-four beautifully sparkling genuine Swarovski elements. A paper insert, and will come wrapped in luxury tissue paper within a beautifully hand decorated box, finished with hand-tied bow and crystal detail. You can choose to personalise your card to your exact requirements, by adding their name, university, degree subject, classification and graduation date. 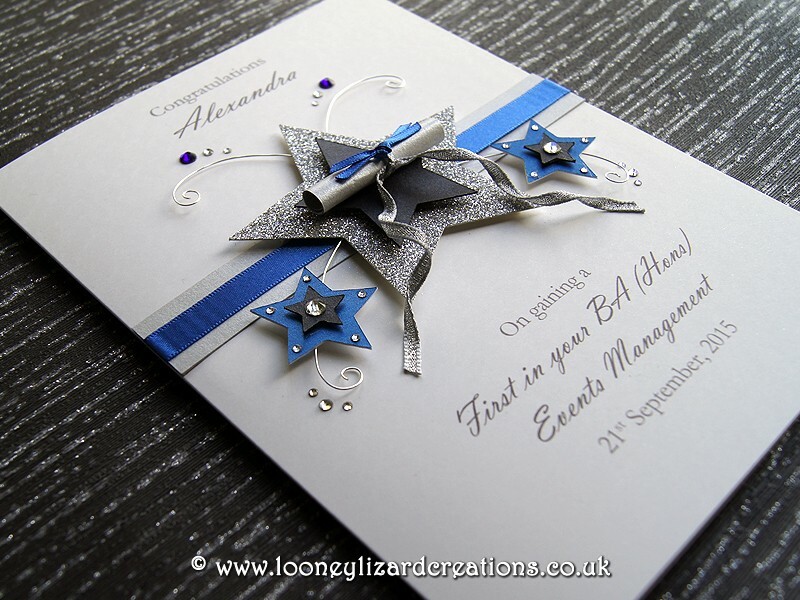 Please see the personalisation options above to select your card colour theme and to personalise the card cover and insert. For card size and finish please see the ‘details’ tab above. excellent card, excellent service. you should be very proud of the items you make, they are splendid. thank you. I had hoped that this card would be really special and I was not disappointed. Thank you for such a wonderful graduation card, we both can not wait to give this to our Daughter on her graduation this weekend.